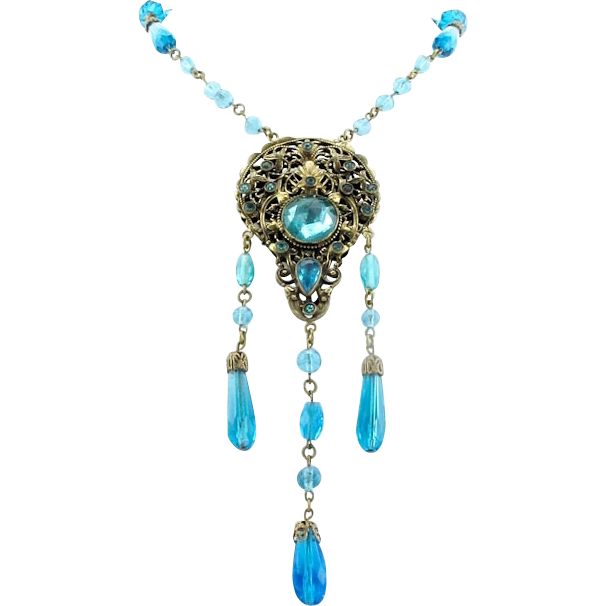 So much detail in this Art Deco vintage Czech necklace with aqua colored glass drops and filigree brass! This long necklace consists of aqua blue glass beads, brass filigree pieces and connectors, and aqua blue colored rhinestones. 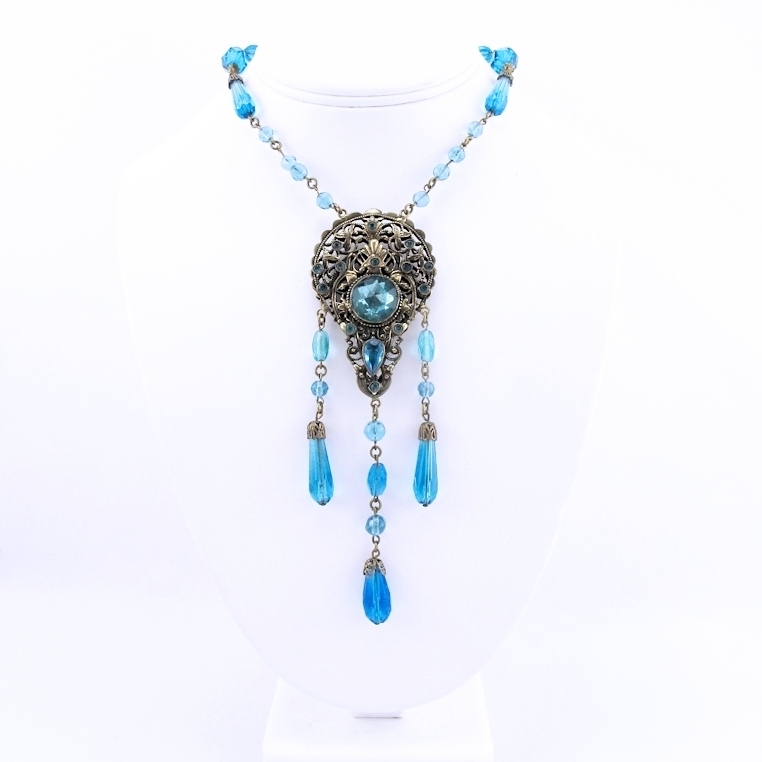 The chain part of the necklace is made up of different shapes and sizes of beads, with the bigger ones being placed closer to the main decorative element, drawing attention to it. 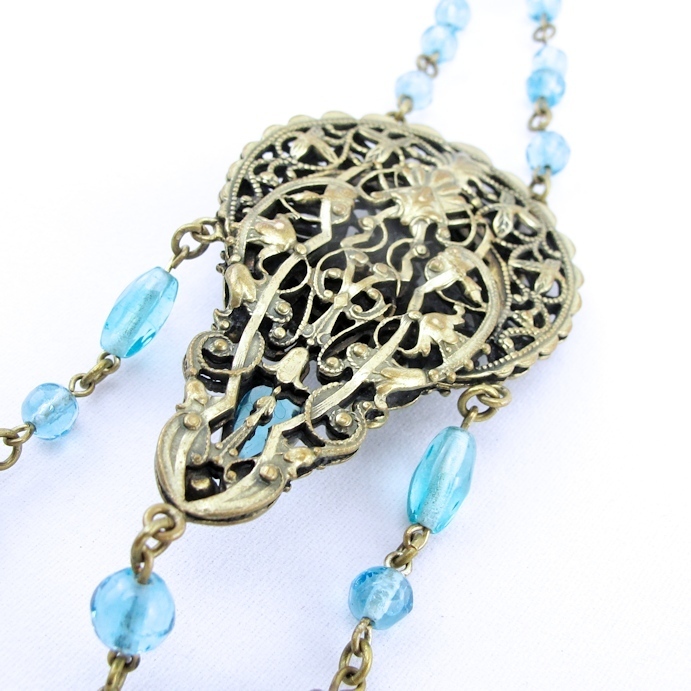 Brass filigree stamped bead caps are used to add extra detail. 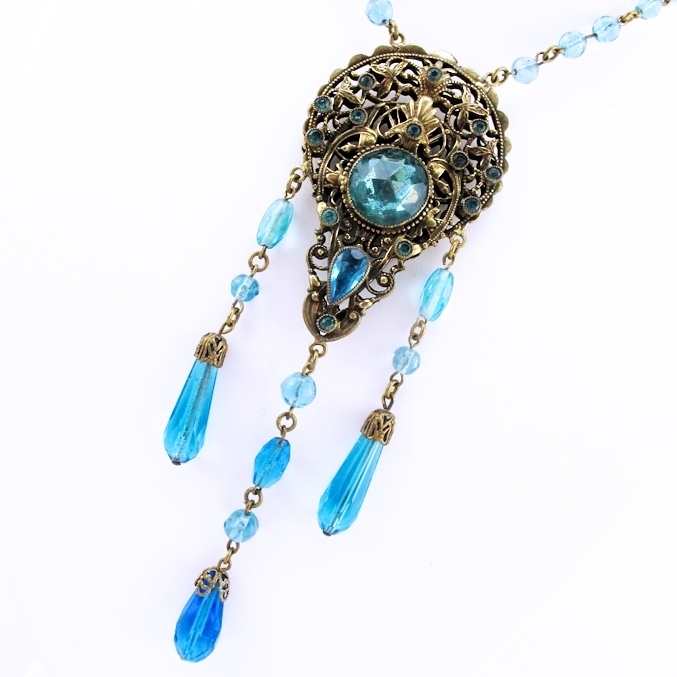 The centerpiece is a big solid brass filigree stamping which is adorned with aqua glass rhinestones each held in place with clawed settings. The centerpiece holds a big foil backed faceted aqua glass stone and there is a blue teardrop stone beneath it. 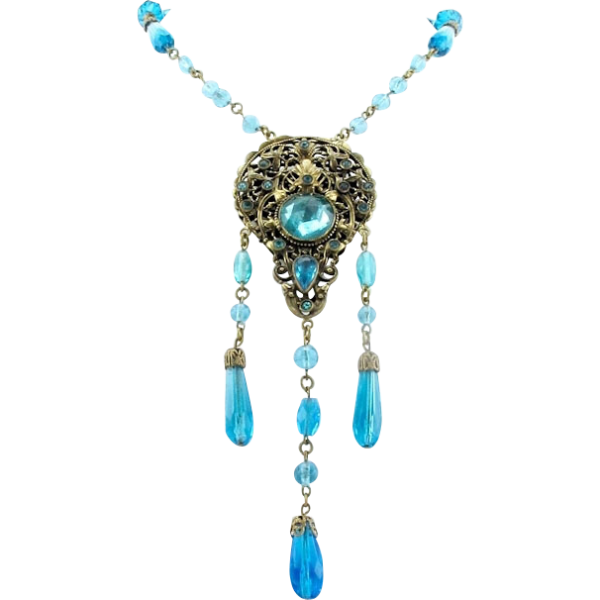 Three drippy dangles hang from the pendant with the same type of beads that are found in the chain part of the piece. This romantic vintage Czech necklace closes with a spring ring clasp. So beautiful and such a great piece of wearable history. Late 20’s / Early 30’s. Condition. Very good. The main stone shows some age to the foil backing. Layaway and combined shipping available. 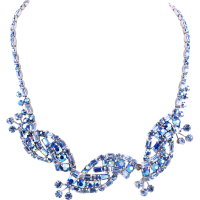 We strive to be very accurate and thorough in all of our vintage jewelry descriptions and disclose all signs of age and wear. We guarantee the authenticity of our vintage items or your money back. 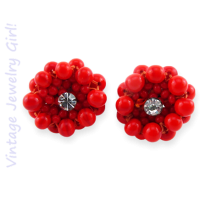 Shop with Vintage Jewelry Girl for a safe and enjoyable experience!